In June 2016, the luxury mineral water brand Acqua Panna flew Italian Michelin Star chef Marco Stabile to Israel for a one-time joint event with renowned Israeli chef Meir Adoni. 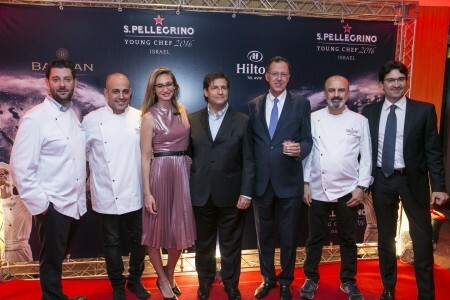 The two chefs first met during San Pellegrino Young Chef competition, where Meir Adoni served as a judge. The two chefs joined together to create a one-time 5-course Tuscan dinner held at the Carlton hotel’s Blue Sky restaurant in Tel Aviv. The Tuscan gourmet trend is gaining momentum in Israel. The best chef restaurants in Israel will feature special Tuscan menus during the month of July. The tasting menus will be accompanied by Acqua Panna.